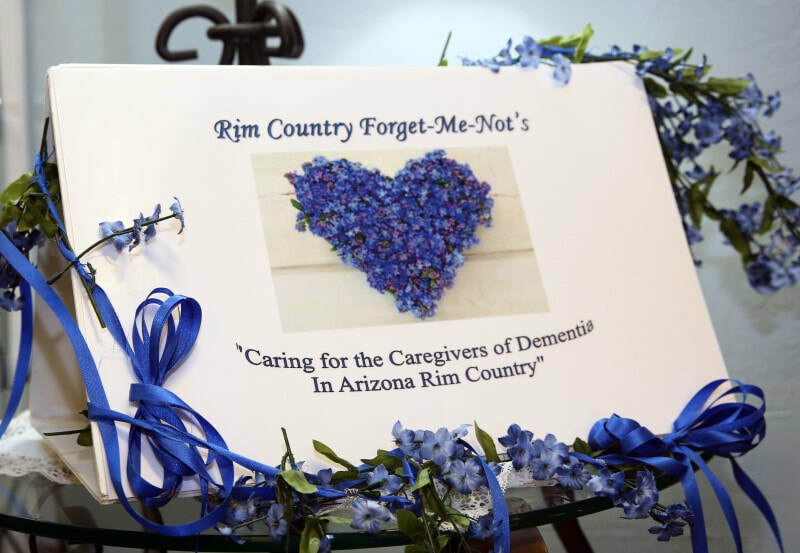 We are a voluntary group of individuals who have been impacted or are currently impacted by the debilitating disease of dementia and actively support the Arizona Rim Country caregivers of dementia in providing awareness and funds. We are partnering with the Payson Senior Center, which is a 501(c)(3) non-profit organization. If you or a loved one are caring for someone with dementia, we can help. We meet regularly at the Payson Senior Center, the first and third Wednesdays, at 1:30 PM. Contact the Payson Senior Center (928) 474-4876 for an application to receive funding for respite caregiving, Medic Alert bracelets, and caregiver education materials / tuition. All gifts & donations support Rim Country caregivers. Your support and donations will bring respite to caregivers of dementia in the Arizona Rim Country, reduce concern for a loved one with dementia and help the caregiver learn new effective ways of supporting their loved one.